Breaking down is something we prefer not to think about, although in reality every vehicle can experience problems that could leave you needing roadside assistance. 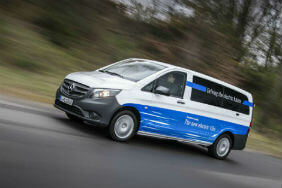 Firstly, you need to outline how you use your van, this will help highlight what you need your policy to provide. 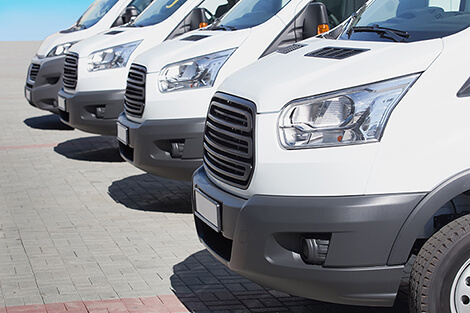 For example, if your van is part of your business, then breaking down could leave you unable to carry out jobs and at a loss for money if you don’t have the right type of cover. We compare van breakdown cover from some of the UK’s top providers to make sure that you’re spoilt for choice. Deciding what level of van breakdown cover is right for you, entirely depends on your circumstances. When comparing breakdown policies be aware that some of the cheaper options generally offer the basics and you might need a more comprehensive cover to suit your needs. This is the most basic level of breakdown cover. If you break down, a recovery vehicle will be sent to your location and they’ll try to fix the problem by the side of the road. If they can’t then you’ll usually be towed to the nearest garage. If your van won’t start at home this type of policy covers you within a quarter of a mile radius from your home address (terms may vary depending on your chosen provider). If your van breaks down away from home and can’t be fixed by the roadside, you could be provided with an alternate vehicle to reach your destination while your van is being repaired. Depending on your insurer’s policy you could also receive overnight accommodation and reimbursement of any alternative onward travel costs. If your van breaks down in the UK and can’t be fixed on the roadside, the recovery vehicle will tow your van almost anywhere in the UK you desire. This type of breakdown cover is ideal for those who drive their van long distances across the UK, as it’s worth having peace of mind rather than being stranded 400 miles from home! This policy covers you if your van breaks down driving in the EU. It’s worth noting that the length of time you’re covered for may vary depending on your provider’s terms. You can read our guide for more about European breakdown cover. Flat batteries are the number one reason for breakdown recoveries. If you hear the dreaded engine crank or clicking when you attempt to start your van or worse yet an eerie silence, you’ve most likely got a flat battery. You may have left the lights on and need to jump start your vehicle or it could be something more serious like a faulty alternator. Cold weather can significantly drain your battery too so it’s important that you charge it up either manually or by going for a long drive. Remember, batteries don’t last forever and you may need to replace yours every few years. These tend to be more serious (and costly!) and you’ll likely need to be towed to the nearest garage for diagnostics. Your van’s alternator is responsible for the battery's operation and if this is faulty your battery is likely to go flat. Unfortunately, there’s nothing you can do to prolong an alternators life but noticing the signs of a dying alternator like dimmed headlights or your ignition warning light can give you time to get it fixed before you breakdown. As more and more vehicles are being fitted with intelligent technology that requires specialist treatment to fix, it means issues with the electrics usually can’t be fixed by the roadside. The UK has a huge pothole problem. Over 1,031,787 potholes were reported in 2016 across the UK and it only takes one to damage your tyre, leaving you by the side of the road and most likely pretty annoyed! Punctures are another bug bear but unfortunately there’s little you can do to protect yourself against them. If you do hit a severe pothole or run over some debris in the road, you may have to check for damage. When it’s safe, pull over and repair or change your tyre if needed. Be aware that increasingly, new vans don’t come with a full spare tyre but may include a run-flat which allows for travel up to a short distance. Alternatively, your van might include a repair kit but these are also only meant for short-term onward travel to a tyre garage. It’s wise to make sure you have a spare tyre on your vehicle along with nuts, bolts and a jack, just in case! Accidently putting the wrong fuel in your car happens to the best of us. A whopping 150,000 drivers make the mistake every year. What you do next though is the make or break of the situation. If you haven’t started your engine, then it’s a case of having the fuel pumped out. However, if you’ve fired it up and driven you might have done some mechanical damage to your van. Whether you’ve misplaced your keys or locked them in your vehicle, you’ll most likely have to call for help if you find yourself in this tricky situation. It’s always a wise idea to keep a spare set of keys somewhere just in case you lose them, as the cost of getting a new pair can be pretty pricey. If you do lose them here’s a helpful guide to getting replacement keys for your van. If you don’t have breakdown cover and one of the above happens to your van, then you’ll have to cover the cost of getting rescued yourself. Follow our handy checklist of things to keep in your van in case you’re left stranded by the side of the road! It’s hard to predict when your van will break down but the most important thing is to be prepared, follow these tips if you get caught by the side of the road. It’s easier said than done but composing yourself and taking a breather is the best thing you can do in this situation. There’s not point getting flustered. If you have passengers make sure you all exit the van on the left hand side away from traffic. Don’t exit the van through the driver’s door, instead use the passenger doors for safety. If your van breaks down while you’re on the motorway, pull on to the hard shoulder immediately. If there isn’t one then turn your hazard lights on and call the emergency services for assistance. If no-one can see you, you’re putting yourself in danger. Keep a high visibility jacket in your van in case you break down on the motorway. Once you’ve pulled over and everyone is safely out of the van then call your breakdown provider, let them know where you are and the number of passengers travelling with you. Pull over safely, turning your wheels hard to the left. Switch your hazard lights on to warn others and your sidelights on if it’s dark. Using a warning triangle can be hazardous on the motorway but if you’re on a quieter road, place it 45 meters behind your vehicle, this will help warn other drivers that you’ve broken down ahead. Leave it to the professionals, don’t try to fix or repair the issue yourself as you may cause more harm than good. Try to stay calm and collected, know that help is on the way and hopefully you’ll be back on the road again soon. 10. What if you don’t have van breakdown cover? This can be the expensive part. Local garages will usually apply a call out fee and also charge for every mile they tow your van. Alternatively, you can call the Highways Agency, they usually charge around £150 to tow your car to a local garage. When you buy van insurance there’s usually an option to include breakdown cover in your policy. Getting breakdown cover for your van is a smart choice, if you do find yourself by the side of the road you’ll have peace of mind knowing it’s not going to cost you a fortune to get rescued.